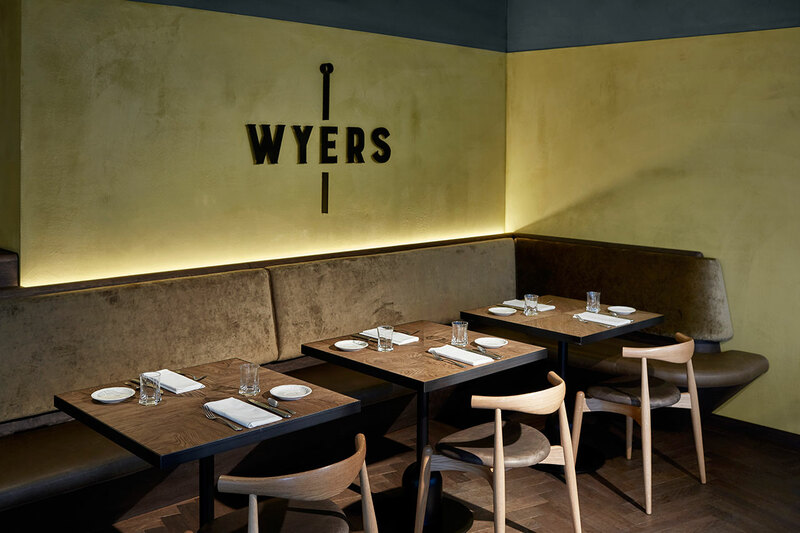 Amsterdam has a new culinary destination neighboring one of its busiest corners beside its Centraal Station: Wyers Restaurant and its accompanying coffee and beignets shop, Miss Louisa. 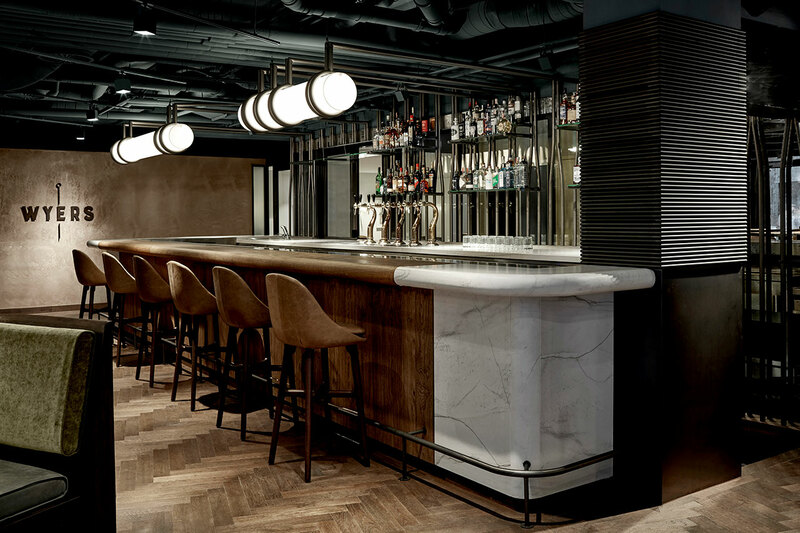 Designed and realized by Studio Modijefsky, both are part of the American hotel chain, Kimpton Hotels and Restaurants, of which the latest edition - and the first outside of the U.S. - is situated in the same building above them. 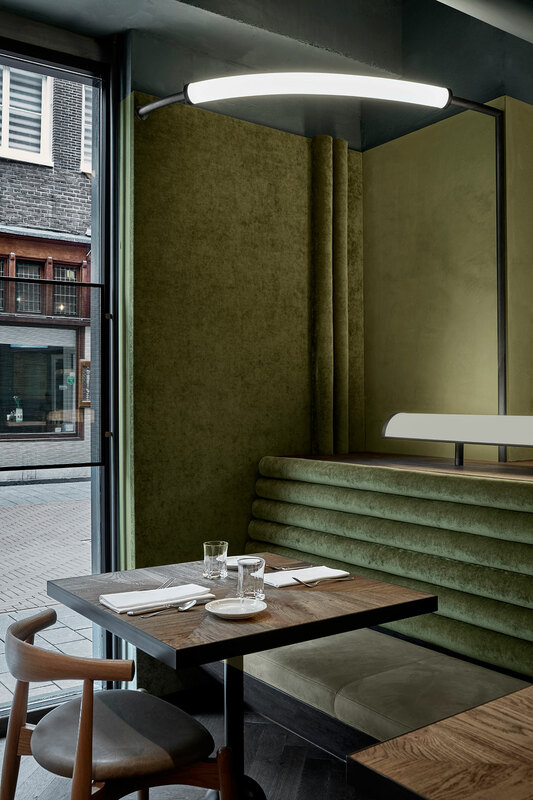 The Dutch fabric firm, Firma Wyers, which was owned by J.P. Wyers - the father of four daughters, the youngest of which was named Luisa - used to occupy this location and the designers chose to embrace this heritage by using it as a springboard for their inspirations. 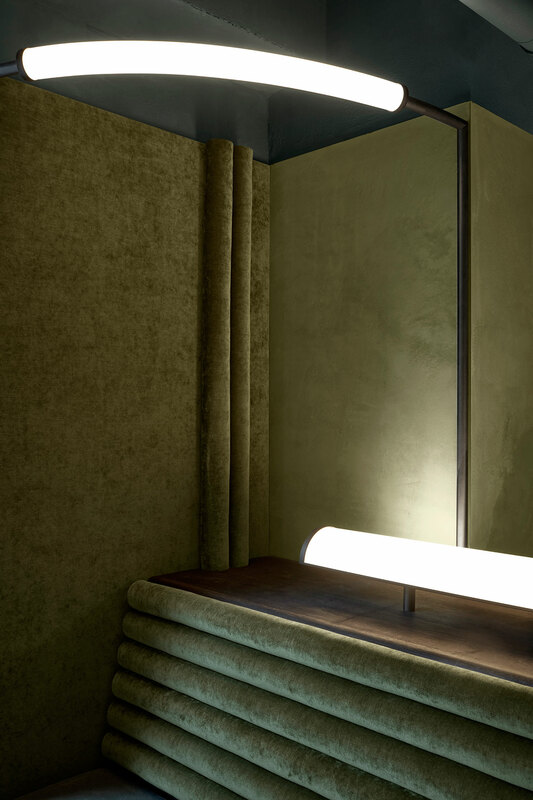 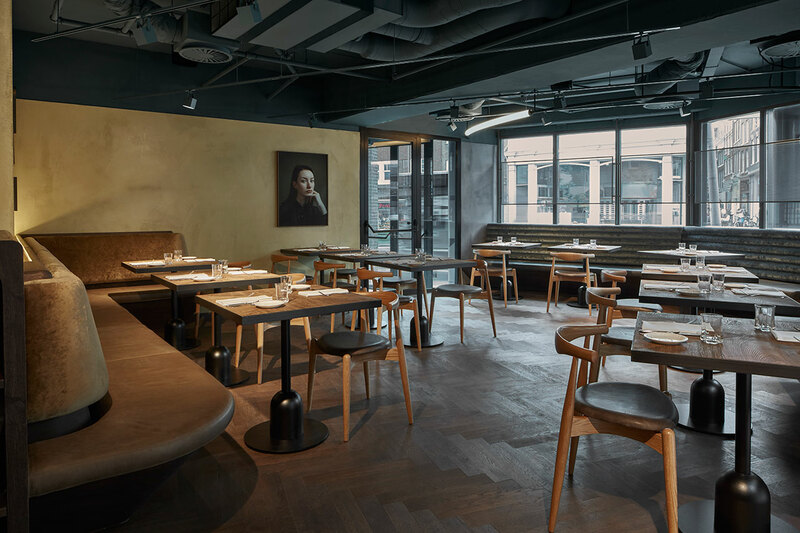 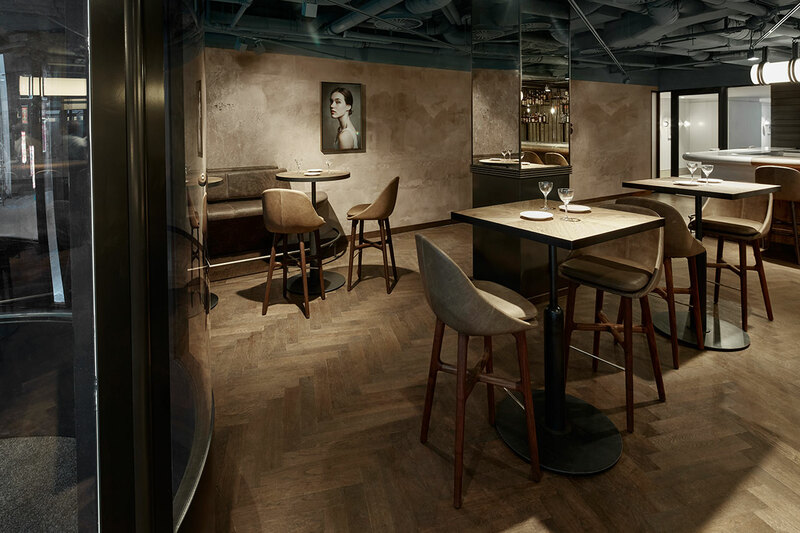 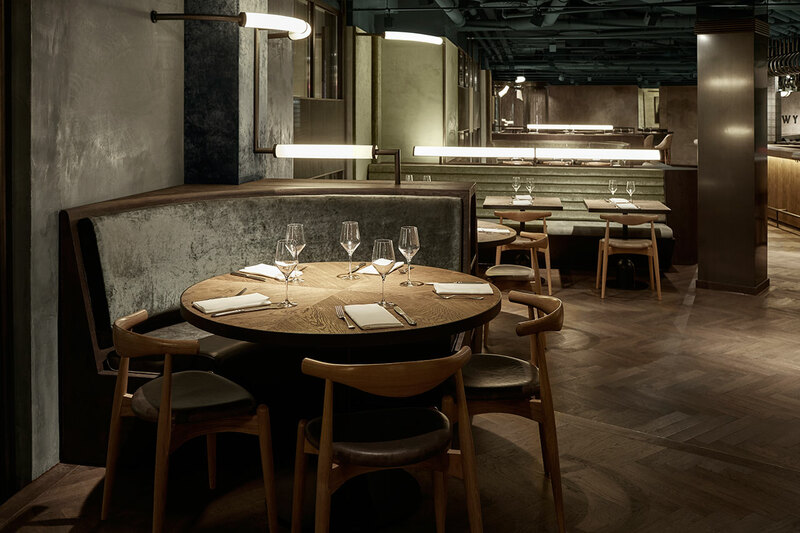 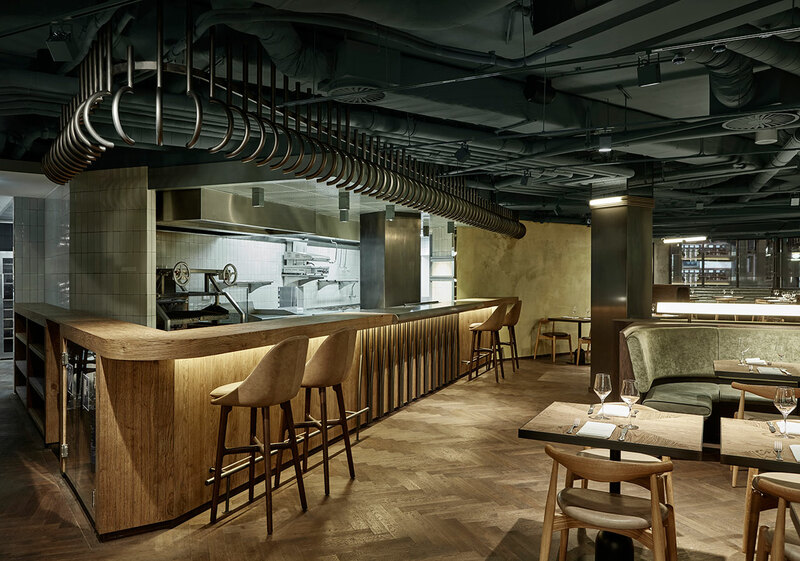 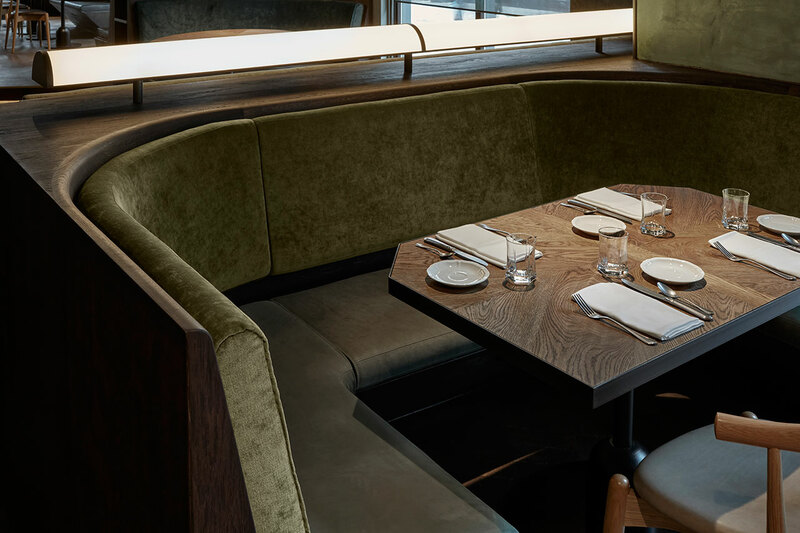 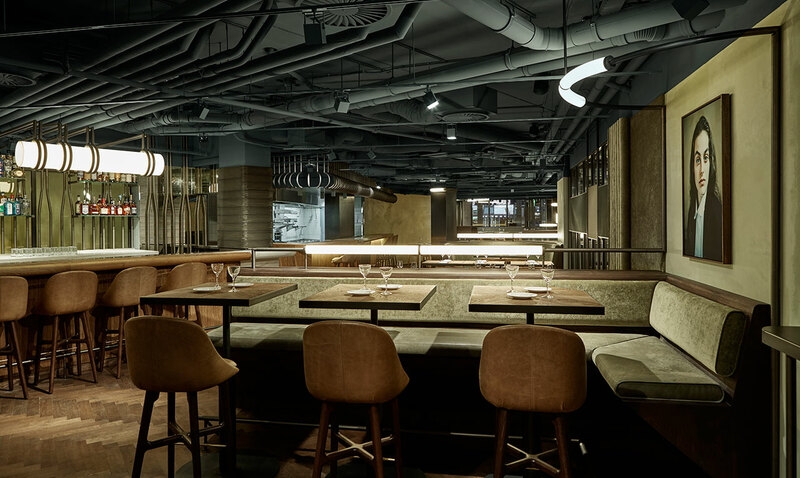 As such, textile weaving elements and details abound, from the dark wooden floors that are laid to resemble a woven, herringbone pattern, to the banquette seats which resemble stacked rolls of fabric. 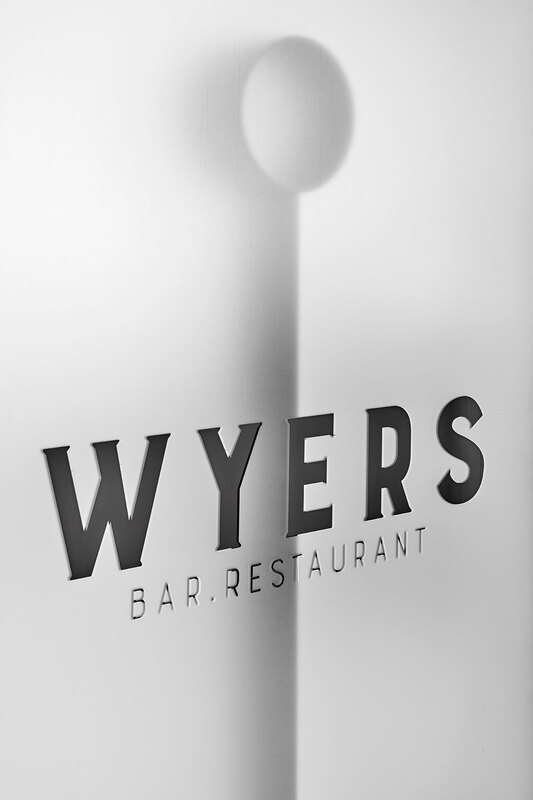 Even the restaurant's logo has a sewing pin "piercing" the middle letter "E."
The color tones used throughout are warm and enveloping, with lots of natural touches such as the polished, dark wood and white marble bar, as well as the leather covered barstools. 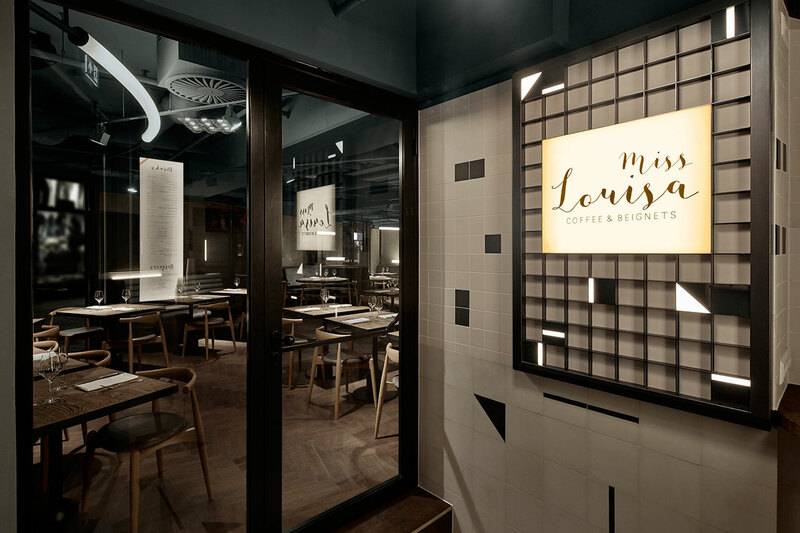 Olive green, elephant gray and earthy ochre all combine beautifully, adding a depth and richness to the overall design, both in the Restaurant space as well as in Miss Louisa's coffee shop. 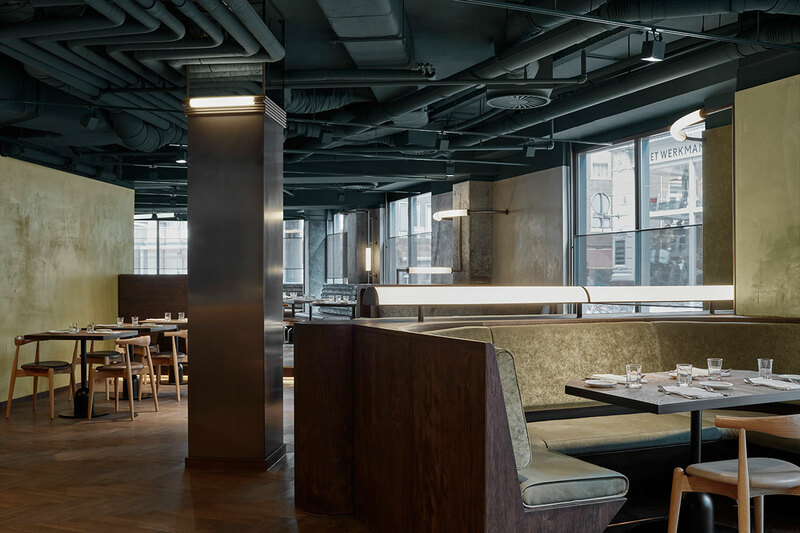 Another unifying element between the two locations is the gray painted ceiling with its exposed pipes and tubes; another reminder of this spot's working heritage. 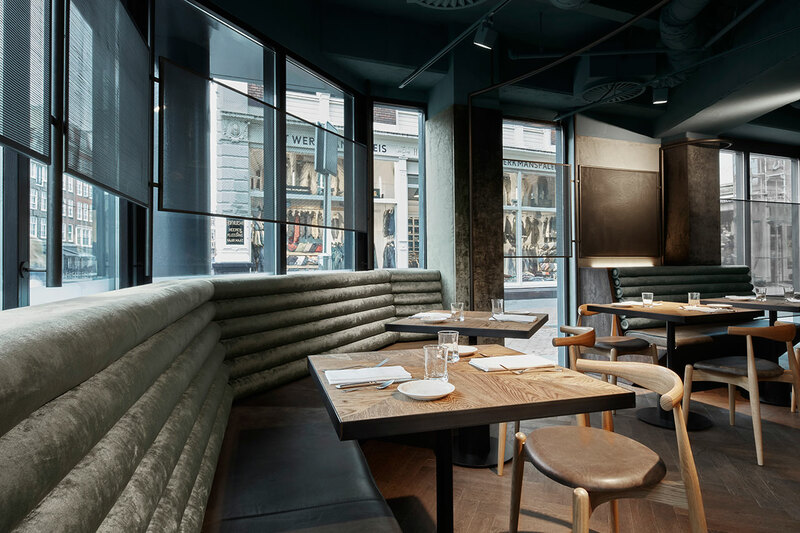 Metal framed windows surround the walls facing the street, inviting the outdoors inside, not only by way of embracing the light and motion of the busy street corner, but also… by tempting outside passerby to come in! 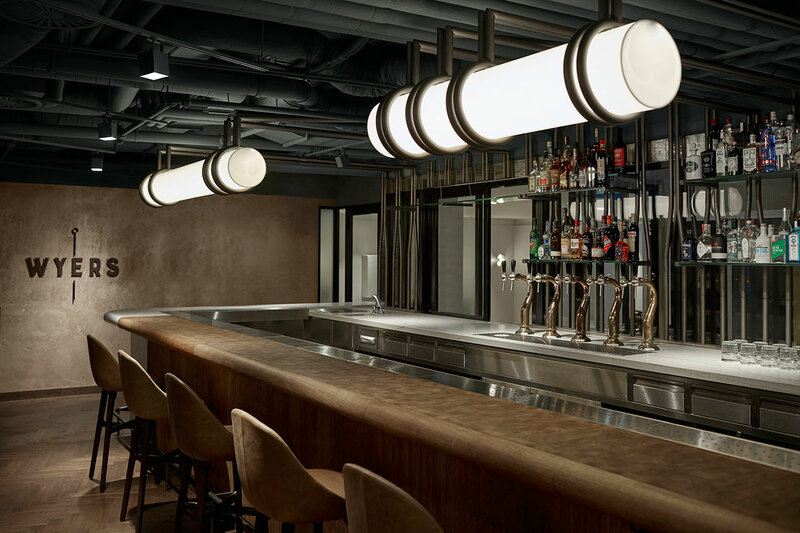 Meanwhile, inside transparency merges spaces, especially in the form of the glass-walled working kitchen that is visible just behind the bar allowing patrons to watch their American-inspired dishes with a European flare, being prepared by American chef, Sam Demarco. 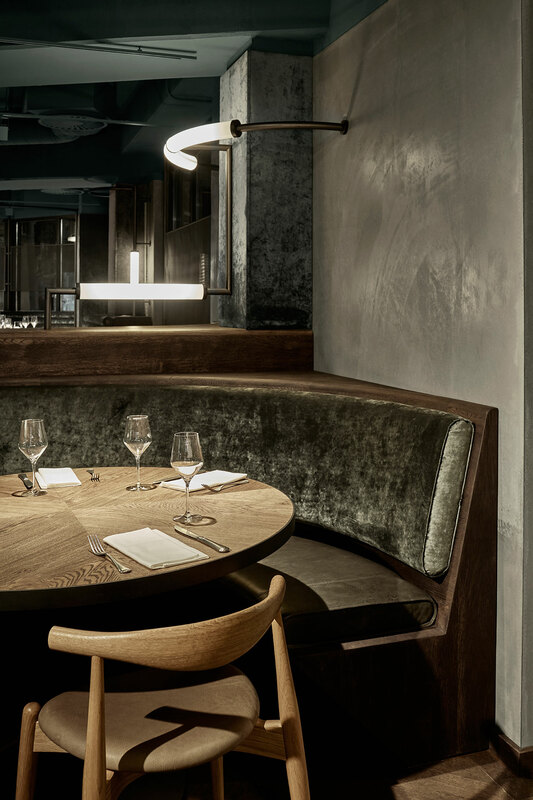 Another element that must be mentioned is the large and enigmatic portrait of a young girl overlooking the dining proceedings from her "watch all" spot above the banquette seats. 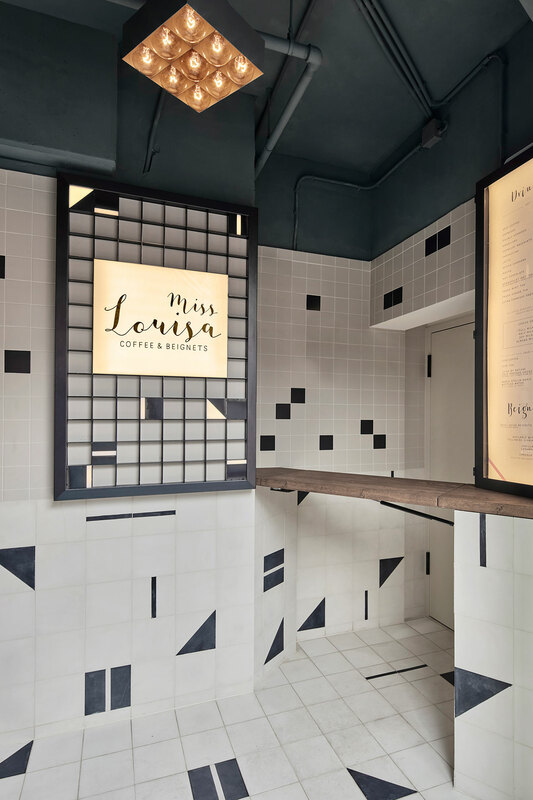 Is this perhaps inspired by the young Miss Louisa of the coffee shop? 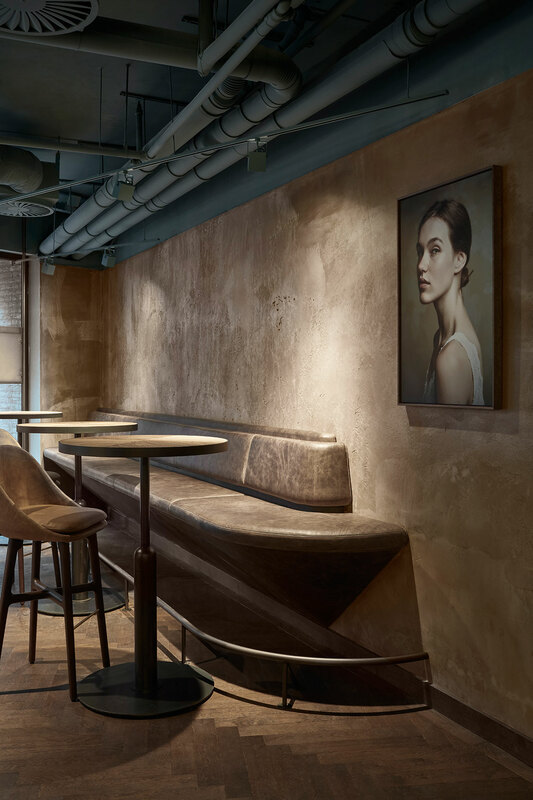 Whatever her purpose and background, this décor element adds yet another familial note encouraging patrons to make themselves at home in a comfortable and elegant setting.